Surgery to remove bone plates. 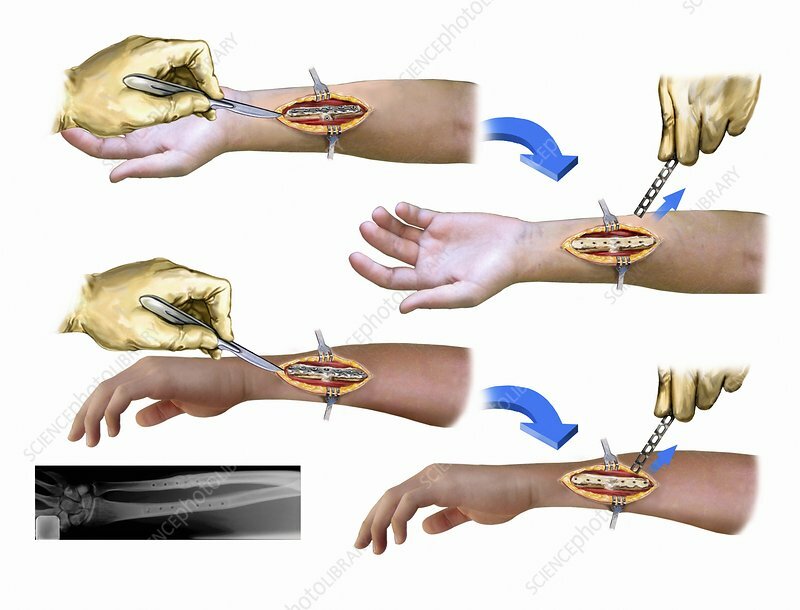 Sequence of artworks illustrating the removal of metal plates and screws from arm bones. At upper left, in palmar view, an incision is made over the radius bone to expose the plate. At upper right, the screws and fixation plate are removed from the radius. At lower left (side view), an incision is made over the ulna bone to expose the plate. At lower right, the screws and fixation plate are removed from the ulna. At bottom left, is a post-operative X-ray showing the bones with holes in them where the screws had previously been.